George Soros is the Modern day Vampire of the World, and he has a deep hatred for Russia, especially Putin because Putin stopped him from destroying Russia. The chaos in Ukraine was funded by Soros in the Hopes of wrecking havoc in Russia. Putin has had just about enough of this atrocity and has decided it’s time to eliminate the world’s biggest sponsor of instability. Soros has probably killed more human being’s than any military dictator in the past 50 years. For that alone, he should be locked up with no possibility of parole. It is, for this reason, his Lap Dog Obama has engaged Russia as this is his last ditch event to try to destabilise Russia, but his plans have failed. Now that Trump has won, his plans are toast and Trump-like Putin is more interested in fixing his country than wasting valuable resources fighting another country based on the ideologies of deranged person. Obama had no such compulsion because like Hillary he is willing to sell his soul to the highest bidder. This is why he is now terrified as he understands there will be no legacy left and that Trump is going to turn back the hands of time till there is no trace of anything Obama did. Almost all his policies had a negative impact on small business and the middle class; in fact, a case can be made to illustrate that he is probably the worst president on record and that he went out of his way to destroy America. All Soros’s talk about Civil rights and democracy are hogwash and just covers for his hidden agenda. His goal is to destabilise and destroy nations; push people into poverty and destroy cultures. Soros has the audacity to state that “Putin is a bigger threat to Europe’s existence than ISIS”. 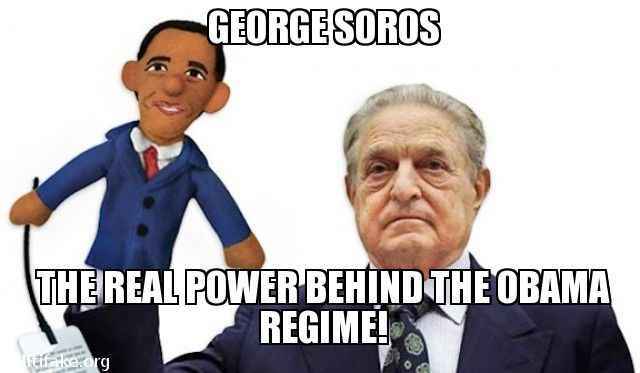 What a joke, as Soros not only helped fund and create ISIS, he also funded the illegal overthrow of a legitimately elected government in Ukraine. Soros goes on a tirade again, but if you pay attention to the accusations he is making against Putin, they sound dangerously like his vision; Putin is the only one standing in his way. Soros’ use of these cross-collateralized compounded derivatives utilising Luxembourg banks violates the terms of the Basil II European Union banking agreement.